As part of a pioneering new project from the disability charity United Response, people with learning disabilities are making YouTube videos to help tackle obesity. 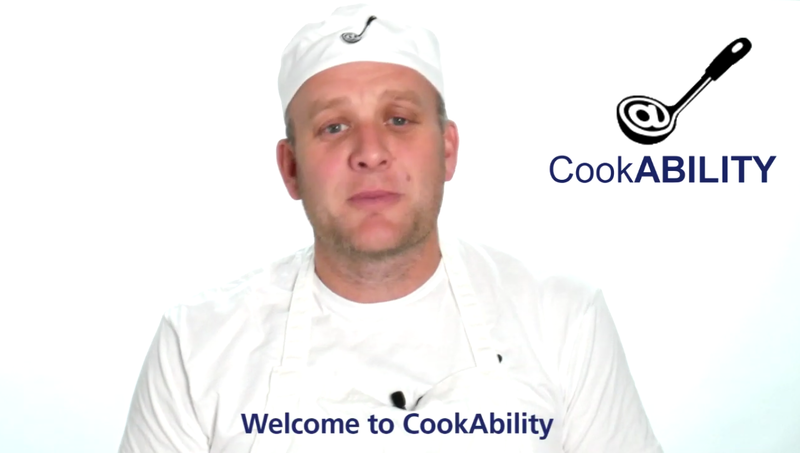 CookABILITY launches today and aims to encourage people with learning disabilities, Down’s syndrome, and autism to cook for themselves and eat healthy food. Research shows that disabled people are more likely to have poor diets and not exercise enough. In fact, over 80% of adults with learning disabilities fail to meet official minimum recommended levels for physical activity. United Response hopes to make cooking simple, easy, and healthy. They are making a dozen easy-to-understand recipes, including spaghetti bolognese, chilli con carne, and quorn paella, broken down step-by-step. All the videos – which can be viewed on the charity’s YouTube page – have been made with the help of people with learning disabilities, for people with learning disabilities. Each video also has an easy-to-read recipe list document. A new video will be broadcast every week, with the next upload on Monday 17th December 2018. Alan Tilley, Area Manager for United Response ROC Wellbeing, said: “Obesity is a ticking time bomb which will hit people with learning disabilities particularly hard if we fail to take decisive intervention and don’t give people control over what they eat. In our experience, people with learning disabilities can struggle to eat a balanced diet. Often cooking a meal from scratch at home can seem daunting and so people end up instead eating ready meals or fast food high in fat, sugar, and calories." The team behind the project are aiming to reach out to thousands of people supported by United Response and hope to reach many more supported by other organisations.